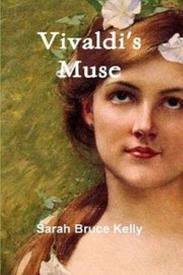 Author Sarah Bruce Kelly brings the musical world of 18th-century Venice alive. The author herself is a professional musician and scholar of music history, and one couldn’t imagine a more suitable author to write this book, as the love and passion for her subject is deeply embedded in this story. The fine details about the business and the art of the opera, the portrayal of Venice herself as a major character, the affecting and sensitively rendered descriptions of Vivaldi and Annina and their evolving relationship, as well as the strong sense of atmosphere and foreboding, have been well executed, allowing everyone—not just aficionados of Vivaldi’s music or the opera—to enter into this private world. Annina’s victimization by and the intense and vicious rivalry with Chiara is faintly reminiscent of the relationship between Chiyo and Hatsumomo in Arthur Golden’s wonderful Memoirs of a Geisha. The animosity between the rivals kept the level of tension in the story high in Memoirs, and does the same for Vivaldi’s Muse. This reader would have enjoyed learning more in depth about Chiara—what made her act so abominably and with such commitment to Annina’s downfall..
Fury mounted and they reviled each other as the offspring of assassins and prostitutes. In fairness, I must mention a few minor distractions that I noticed in the text—one being that the writing occasionally glides quickly over events in a “talking rather than showing” manner. I do realize that the number of concerts or events covered in this time period were substantial and that, given the size of the book at over 400 pages, something had to give, but I did find this device a bit distracting. Despite these minimal distractions, I highly recommend Vivaldi’s Muse. Once again, I don’t understand why a mainstream publisher would bypass an engaging work like this one. With professional marketing and a snappier cover design, this delightful and absorbing novel would be an irresistible find on any bookstore shelf. Disclaimer: A copy of the novel was sent to me gratis from the author. Thank you, Sarah, for clarifying this! You, of course, know more than I do about the origins of these words.